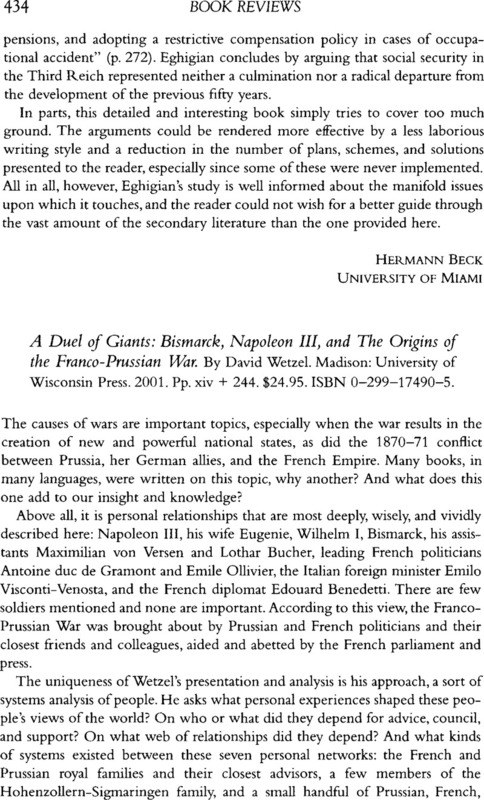 A Duel of Giants: Bismarck, Napoleon III, and The Origins of the Franco-Prussian War. By David Wetzel. Madison: University of Wisconsin Press. 2001. Pp. xiv + 244. $24.95. ISBN 0-299-17490-5.